Everytime we are asked about the pacing of “Dead Synchronicity – 1” (please bear in mind that the ” – 1″ in the title is provisional) our answer goes the same: “slowly but surely…”. We keep progressing, though slower than we would like. 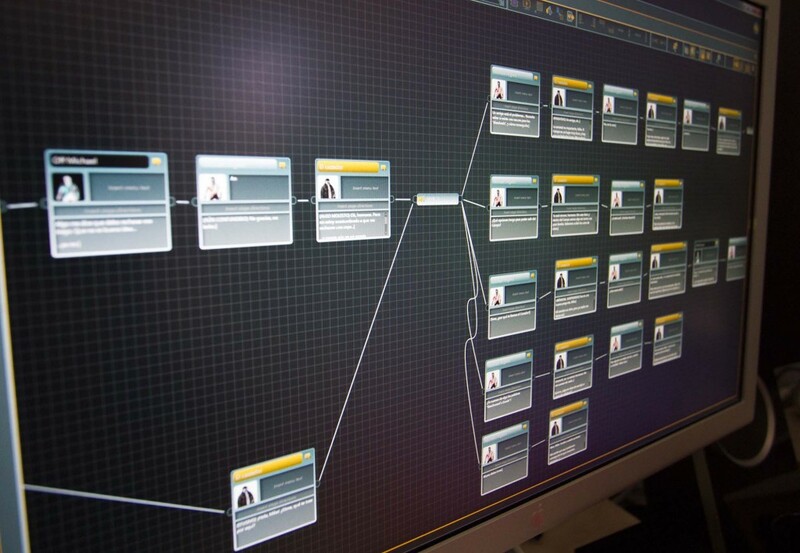 Regarding the tools we are using, we have previously written about articy:draft, the story design tool. But, what about the engine? After considering using 2D point-and-click specific engines such as Wintermute or Visionaire (both are really interesting options), we decided to make our own engine using Unity 3D. We admit that we have been hesitating and trying for months: specific engines are really easy to use and have plenty of options… but, for one reason or another, none of them fulfilled all of our needs. Everyone we asked for advice recommended us using Unity… and yes, it’s an amazingly customizable tool and, furthermore, the ability to export to so many different devices (including Windows/Mac OS/iOS/Android) is awesome. It may seem a bit odd to use a 3D engine to write a 2D point and click game, but we are not the first (you can check the fun “Fester Mudd” ) and for sure we will not be the last. So… let’s go back to work! Do you have a list of the tools/extensions for Unity that you’re using, and perhaps a summary of the experience you’ve had with it? I am continually intrigued by using Unity for 2D projects, but I’ve got a bunch of XNA code to do most of the things I want… and am wondering if making a jump would be worth it! to be honest, we were not using with any Unity extension at all. Some mates have recommended us using “2D Toolkit”, but we have been programming wildly. However… as you may have noticed, Unity 4.3 has just been released and it brings A LOT of new features for 2D games. In fact, some of the things we have struggled to get done are now done in a tick! Take a look at it, you can use the demo version for free, and you can get a trial of the “Pro” version for one month!